World's one of the best Japanese movement and Sony battery helps to run the watch for years & years. Crafted from a rich quality material, this watch for men is light in weight and long lasting too. 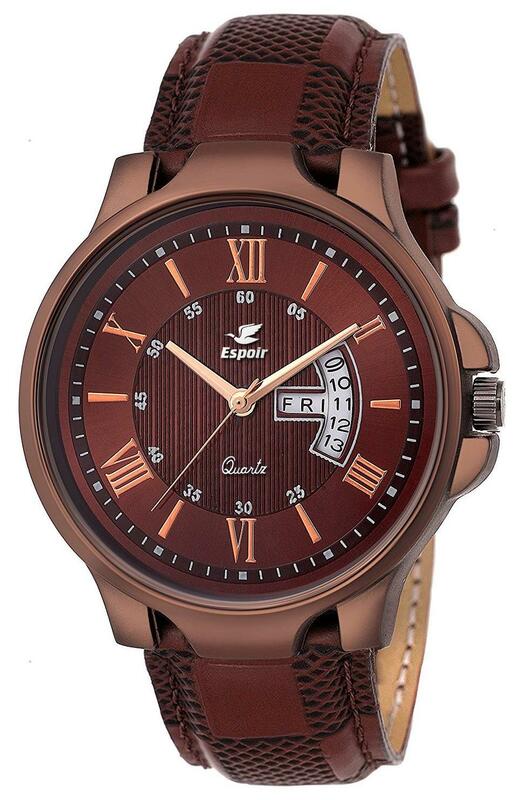 Espoir known for its edgy and affordable range of watches.You can show it off with your casual & formal attires to grab compliments from everyone around. Being easily Affordable to make it sit right on your wrist, it can add a physical dimension to your Style.